This is the basic requirement for walking during commencement. 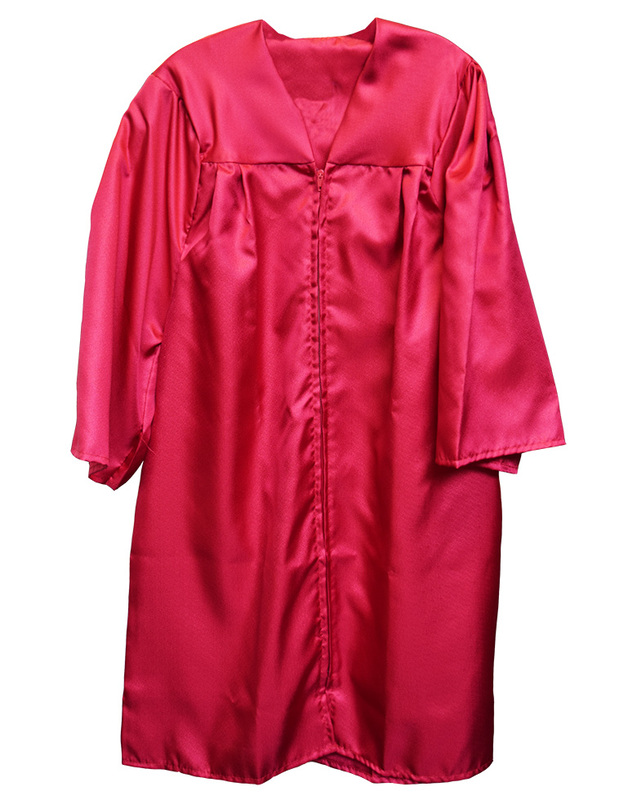 Comes with cap, gown, and discipline-specific tassel (different colors for different disciplines). Please choose discipline and size from drop-down menu. For Plus Sizes, please call 503-838-8300. Limited sizes available. Please choose the size closest to your height. Select Merchandise Option Before Adding to Cart Select: Please Select ASL/INT / 4'10" - 5' ASL/INT / 5'1" - 5'3" ASL/INT / 5'4" - 5'6" ASL/INT / 5'7" - 5'9" ASL/INT / 5'10" - 6' ASL/INT / 6'4" - 6'6" ASL/INT / 6'7" - 6'9" EDUCATION / 4'10" - 5' EDUCATION / 5'1" - 5'3" EDUCATION / 5'4" - 5'6" EDUCATION / 5'7" - 5'9" EDUCATION / 5'10" - 6' EDUCATION / 6'1" - 6'3" EDUCATION / 6'4" - 6'6" EDUCATION / 6'7" - 6'9" EXERCISE SCIENCE / 4'10" - 5' EXERCISE SCIENCE / 5'1" - 5'3" EXERCISE SCIENCE / 5'4" - 5'6" EXERCISE SCIENCE / 5'7" - 5'9" EXERCISE SCIENCE / 5'10" - 6' EXERCISE SCIENCE / 6'1" - 6'3" EXERCISE SCIENCE / 6'4" - 6'6" EXERCISE SCIENCE / 6'7" - 6'9" ART / 4'10" - 5' ART / 5'1" - 5'3" ART / 5'4" - 5'6" ART / 5'7" - 5'9" ART / 5'10" - 6' ART / 6'1" - 6'3" ART / 6'4" - 6'6" ART / 6'7" - 6'9" DANCE / 4'10" - 5' DANCE / 5'1" - 5'3" DANCE / 5'4" - 5'6" DANCE / 5'7" - 5'9" DANCE / 5'10" - 6' DANCE / 6'1" - 6'3" DANCE / 6'4" - 6'6" DANCE / 6'7" - 6'9" ENGLISH / 4'10" - 5' ENGLISH / 5'1" - 5'3" ENGLISH / 5'4" - 5'6" ENGLISH / 5'7" - 5'9" ENGLISH / 5'10" - 6' ENGLISH / 6'1" - 6'3" ENGLISH / 6'4" - 6'6" ENGLISH / 6'7" - 6'9" HUMANITIES / 4'10" - 5' HUMANITIES / 5'1" - 5'3" HUMANITIES / 5'4" - 5'6" HUMANITIES / 5'7" - 5'9" HUMANITIES / 5'10" - 6' HUMANITIES / 6'1" - 6'3" HUMANITIES / 6'4" - 6'6" HUMANITIES / 6'7" - 6'9" SPANISH / 4'10" - 5' SPANISH / 5'1" - 5'3" SPANISH / 5'4" - 5'6" SPANISH / 5'7" - 5'9" SPANISH / 5'10" - 6' SPANISH / 6'1" - 6'3" SPANISH / 6'4" - 6'6" SPANISH / 6'7" - 6'9" COMMUNICATION / 4'10" - 5' COMMUNICATION / 5'1" - 5'3" COMMUNICATION / 5'4" - 5'6" COMMUNICATION / 5'7" - 5'9" COMMUNICATION / 5'10" - 6' COMMUNICATION / 6'1" - 6'3" COMMUNICATION / 6'4" - 6'6" COMMUNICATION / 6'7" - 6'9" GEOGRAPHY / 4'10" - 5' GEOGRAPHY / 5'1" - 5'3" GEOGRAPHY / 5'4" - 5'6" GEOGRAPHY / 5'7" - 5'9" GEOGRAPHY / 5'10" - 6' GEOGRAPHY / 6'1" - 6'3" GEOGRAPHY / 6'4" - 6'6" GEOGRAPHY / 6'7" - 6'9" HISTORY / 4'10" - 5' HISTORY / 5'1" - 5'3" HISTORY / 5'4" - 5'6" HISTORY / 5'7" - 5'9" HISTORY / 5'10" - 6' HISTORY / 6'1" - 6'3" HISTORY / 6'4" - 6'6" HISTORY / 6'7" - 6'9" LANGUAGES / 4'10" - 5' LANGUAGES / 5'1" - 5'3" LANGUAGES / 5'4" - 5'6" LANGUAGES / 5'7" - 5'9" LANGUAGES / 5'10" - 6' LANGUAGES / 6'1" - 6'3" LANGUAGES / 6'4" - 6'6" LANGUAGES / 6'7" - 6'9" INTERDISCIPLINARY / 4'10" - 5' INTERDISCIPLINARY / 5'1" - 5'3" INTERDISCIPLINARY / 5'4" - 5'6" INTERDISCIPLINARY / 5'7" - 5'9" INTERDISCIPLINARY / 5'10" - 6' INTERDISCIPLINARY / 6'1" - 6'3" INTERDISCIPLINARY / 6'4" - 6'6" INTERDISCIPLINARY / 6'7" - 6'9" INTERNATIONAL / 4'10" - 5' INTERNATIONAL / 5'1" - 5'3" INTERNATIONAL / 5'4" - 5'6" INTERNATIONAL / 5'7" - 5'9" INTERNATIONAL / 5'10" - 6' INTERNATIONAL / 6'1" - 6'3" INTERNATIONAL / 6'4" - 6'6" INTERNATIONAL / 6'7" - 6'9" CRIMINAL JUSTICE / 4'10" - 5' CRIMINAL JUSTICE / 5'1" - 5'3" CRIMINAL JUSTICE / 5'4" - 5'6" CRIMINAL JUSTICE / 5'7" - 5'9" CRIMINAL JUSTICE / 5'10" - 6' CRIMINAL JUSTICE / 6'1" - 6'3" CRIMINAL JUSTICE / 6'4" - 6'6" CRIMINAL JUSTICE / 6'7" - 6'9" BUSINESS / 4'10" - 5' BUSINESS / 5'1" - 5'3" BUSINESS / 5'4" - 5'6" BUSINESS / 5'7" - 5'9" BUSINESS / 5'10" - 6' BUSINESS / 6'1" - 6'3" BUSINESS / 6'4" - 6'6" BUSINESS / 6'7" - 6'9" ECONOMICS / 4'10" - 5' ECONOMICS / 5'1" - 5'3" ECONOMICS / 5'4" - 5'6" ECONOMICS / 5'7" - 5'9" ECONOMICS / 5'10" - 6' ECONOMICS / 6'1" - 6'3" ECONOMICS / 6'4" - 6'6" ECONOMICS / 6'7" - 6'9" COMPUTER SCIENCE / 4'10" - 5' COMPUTER SCIENCE / 5'1" - 5'3" COMPUTER SCIENCE / 5'4" - 5'6" COMPUTER SCIENCE / 5'7" - 5'9" COMPUTER SCIENCE / 5'10" - 6' COMPUTER SCIENCE / 6'1" - 6'3" COMPUTER SCIENCE / 6'4" - 6'6" COMPUTER SCIENCE / 6'7" - 6'9" BIOLOGY / 4'10" - 5' BIOLOGY / 5'1" - 5'3" BIOLOGY / 5'4" - 5'6" BIOLOGY / 5'7" - 5'9" BIOLOGY / 5'10" - 6' BIOLOGY / 6'1" - 6'3" BIOLOGY / 6'4" - 6'6" BIOLOGY / 6'7" - 6'9" CHEMISTRY / 4'10" - 5' CHEMISTRY / 5'1" - 5'3" CHEMISTRY / 5'4" - 5'6" CHEMISTRY / 5'7" - 5'9" CHEMISTRY / 5'10" - 6' CHEMISTRY / 6'1" - 6'3" CHEMISTRY / 6'4" - 6'6" CHEMISTRY / 6'7" - 6'9" MATHEMATICS / 4'10" - 5' MATHEMATICS / 5'1" - 5'3" MATHEMATICS / 5'4" - 5'6" MATHEMATICS / 5'7" - 5'9" MATHEMATICS / 5'10" - 6' MATHEMATICS / 6'1" - 6'3" MATHEMATICS / 6'4" - 6'6" MATHEMATICS / 6'7" - 6'9" NATURAL SCIENCE / 4'10" - 5' NATURAL SCIENCE / 5'1" - 5'3" NATURAL SCIENCE / 5'4" - 5'6" NATURAL SCIENCE / 5'7" - 5'9" NATURAL SCIENCE / 5'10" - 6' NATURAL SCIENCE / 6'1" - 6'3" NATURAL SCIENCE / 6'4" - 6'6" NATURAL SCIENCE / 6'7" - 6'9" ANTHROPOLOGY / 4'10" - 5' ANTHROPOLOGY / 5'1" - 5'3" ANTHROPOLOGY / 5'4" - 5'6" ANTHROPOLOGY / 5'7" - 5'9" ANTHROPOLOGY / 5'10" - 6' ANTHROPOLOGY / 6'1" - 6'3" ANTHROPOLOGY / 6'4" - 6'6" ANTHROPOLOGY / 6'7" - 6'9" PSYCHOLOGY / 4'10" - 5' PSYCHOLOGY / 5'1" - 5'3" PSYCHOLOGY / 5'4" - 5'6" PSYCHOLOGY / 5'7" - 5'9" PSYCHOLOGY / 5'10" - 6' PSYCHOLOGY / 6'1" - 6'3" PSYCHOLOGY / 6'4" - 6'6" PSYCHOLOGY / 6'7" - 6'9" GERONTOLOGY / 4'10" - 5' GERONTOLOGY / 5'1" - 5'3" GERONTOLOGY / 5'4" - 5'6" GERONTOLOGY / 5'7" - 5'9" GERONTOLOGY / 5'10" - 6' GERONTOLOGY / 6'1" - 6'3" GERONTOLOGY / 6'4" - 6'6" GERONTOLOGY / 6'7" - 6'9" MUSIC / 4'10" - 5' MUSIC / 5'1" - 5'3" MUSIC / 5'4" - 5'6" MUSIC / 5'7" - 5'9" MUSIC / 5'10" - 6' MUSIC / 6'1" - 6'3" MUSIC / 6'4" - 6'6" MUSIC / 6'7" - 6'9" COMM. HEALTH / 4'10" - 5' COMM. HEALTH / 5'1" - 5'3" COMM. HEALTH / 5'4" - 5'6" COMM. HEALTH / 5'7" - 5'9" COMM. HEALTH / 5'10" - 6' COMM. HEALTH / 6'1" - 6'3" COMM. HEALTH / 6'4" - 6'6" COMM. HEALTH / 6'7" - 6'9" POLITICAL SCIENCE / 4'10" - 5' POLITICAL SCIENCE / 5'1" - 5'3" POLITICAL SCIENCE / 5'4" - 5'6" POLITICAL SCIENCE / 5'7" - 5'9" POLITICAL SCIENCE / 5'10" - 6' POLITICAL SCIENCE / 6'1" - 6'3" POLITICAL SCIENCE / 6'4" - 6'6" POLITICAL SCIENCE / 6'7" - 6'9" PUB. POLICY/ADMIN. / 4'10" - 5' PUB. POLICY/ADMIN. / 5'1" - 5'3" PUB. POLICY/ADMIN. / 5'4" - 5'6" PUB. POLICY/ADMIN. / 5'7" - 5'9" PUB. POLICY/ADMIN. / 5'10" - 6' PUB. POLICY/ADMIN. / 6'1" - 6'3" PUB. POLICY/ADMIN. / 6'4" - 6'6" PUB. POLICY/ADMIN. / 6'7" - 6'9" SOCIAL SCIENCES / 4'10" - 5' SOCIAL SCIENCES / 5'1" - 5'3" SOCIAL SCIENCES / 5'4" - 5'6" SOCIAL SCIENCES / 5'7" - 5'9" SOCIAL SCIENCES / 5'10" - 6' SOCIAL SCIENCES / 6'1" - 6'3" SOCIAL SCIENCES / 6'4" - 6'6" SOCIAL SCIENCES / 6'7" - 6'9"
Please select option for Bachelor's Package. Please choose size from drop-down menu. 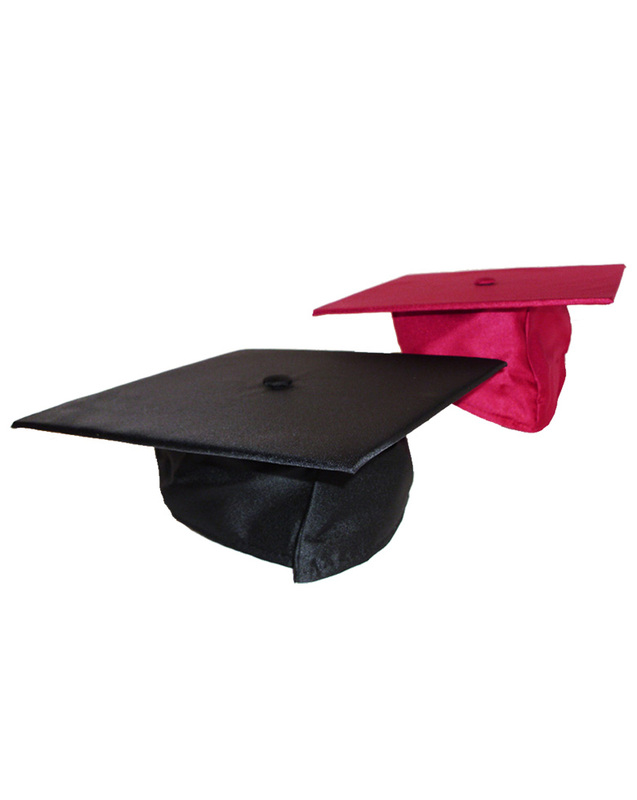 Cap and tassel sold separately or as part of the Bachelor's package. For Plus Sizes, please call 503-838-8300. Select Merchandise Option Before Adding to Cart Select: Please Select 4'10" - 5' 5'1" - 5'3" 5'4" - 5'6" 5'7" - 5'9" 5'10" - 6' 6'1" - 6'3" 6'4" - 6'6" 6'7" - 6'9"
Please select option for Bachelor's Gown. Solid color tassel with silver hanging "19." 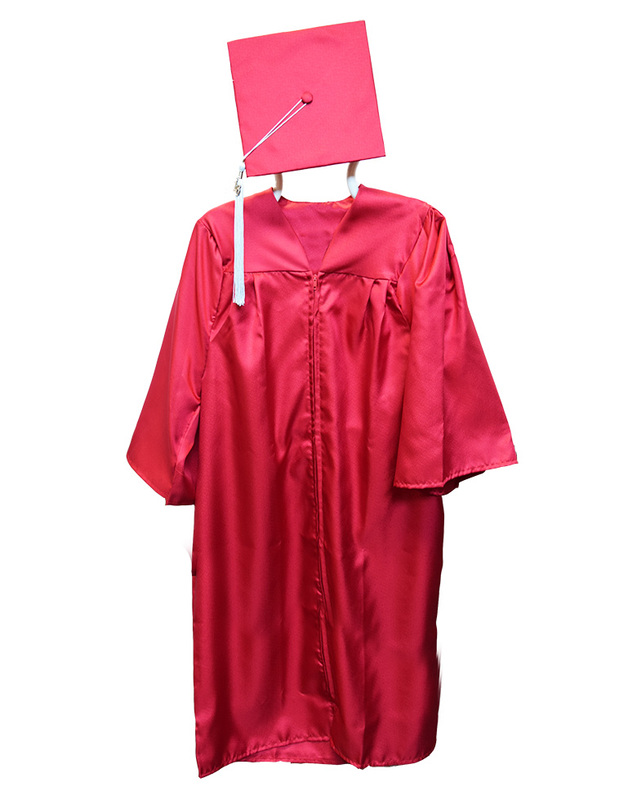 Please choose your discipline from the drop-down menu to get the appropriate color tassel. During commencement, you will be grouped by discipline. Please select option for Bachelor's Tassel. 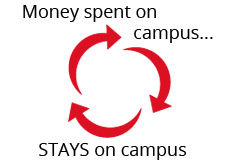 with the university seal embroidered in red. encourage or shape you during your time in school. It's a great token of gratitude, and a nice way to enhance the standard regalia. Contains cap ONLY. Tassel sold separately. 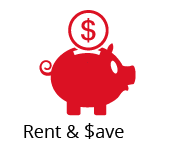 Please choose Bachelor's/BA (red) or Master's/MA (black) from drop-down menu. 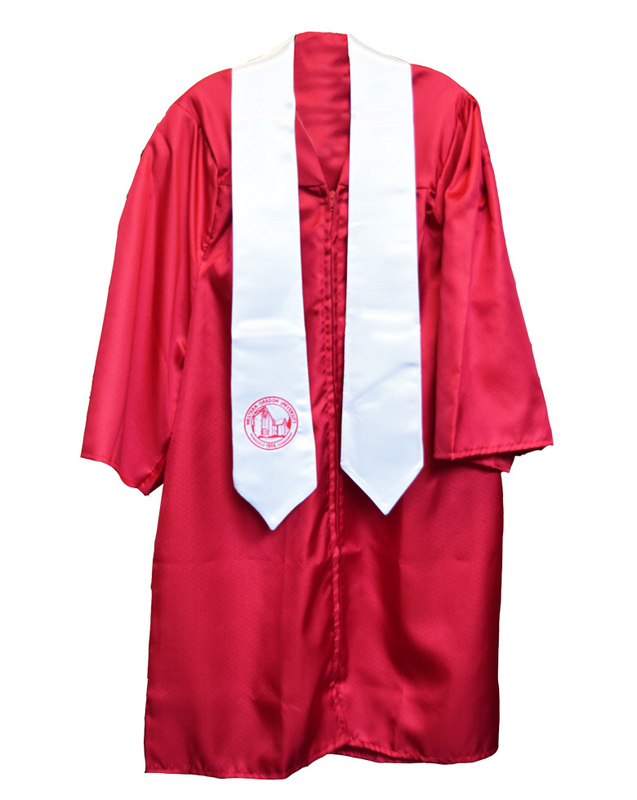 This is the required regalia for Master's graduates to walk during commencement. 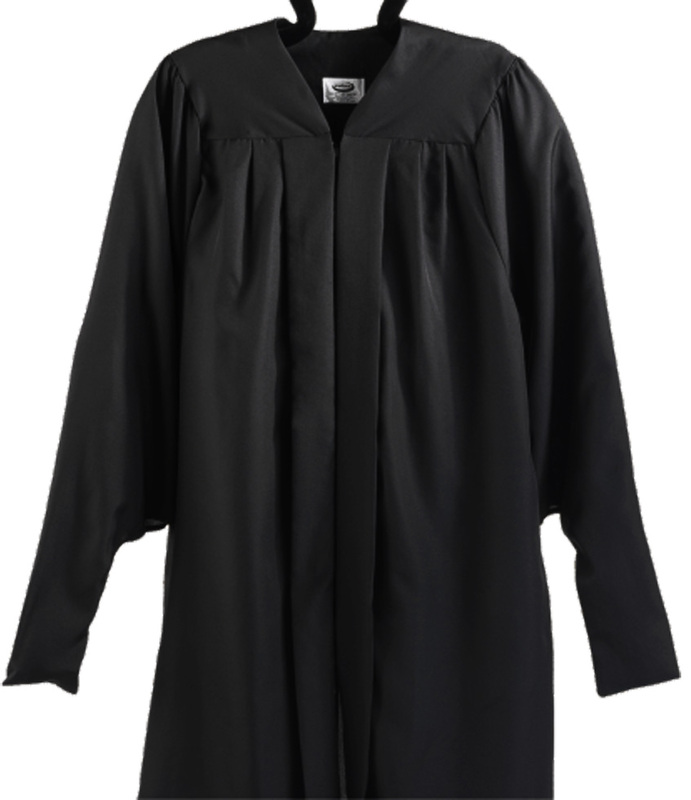 Package contains cap, gown, black tassel, and discipline-specific hood. Please choose discipline and size from drop-down menu. 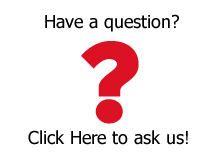 Please call 503-838-8300 with questions. Select Merchandise Option Before Adding to Cart Select: Please Select EDUCATION / 4'10" - 5' EDUCATION / 5'1" - 5'3" EDUCATION / 5'4" - 5'6" EDUCATION / 5'7" - 5'9" EDUCATION / 5'10" - 6' EDUCATION / 6'1" - 6'3" EDUCATION / 6'4" - 6'6" EDUCATION / 6'7" - 6'9" HISTORY / 4'10" - 5' HISTORY / 5'1" - 5'3" HISTORY / 5'4" - 5'6" HISTORY / 5'7" - 5'9" HISTORY / 5'10" - 6' HISTORY / 6'1" - 6'3" HISTORY / 6'4" - 6'6" HISTORY / 6'7" - 6'9" REHAB. COUNSELING / 4'10" - 5' REHAB. COUNSELING / 5'1" - 5'3" REHAB. COUNSELING / 5'4" - 5'6" REHAB. COUNSELING / 5'7" - 5'9" REHAB. COUNSELING / 5'10" - 6' REHAB. COUNSELING / 6'1" - 6'3" REHAB. COUNSELING / 6'4" - 6'6" REHAB. COUNSELING / 6'7" - 6'9" MUSIC / 4'10" - 5' MUSIC / 5'1" - 5'3" MUSIC / 5'4" - 5'6" MUSIC / 5'7" - 5'9" MUSIC / 5'10" - 6' MUSIC / 6'1" - 6'3" MUSIC / 6'4" - 6'6" MUSIC / 6'7" - 6'9" CRIMINAL JUSTICE / 4'10" - 5' CRIMINAL JUSTICE / 5'1" - 5'3" CRIMINAL JUSTICE / 5'4" - 5'6" CRIMINAL JUSTICE / 5'7" - 5'9" CRIMINAL JUSTICE / 5'10" - 6' CRIMINAL JUSTICE / 6'1" - 6'3" CRIMINAL JUSTICE / 6'4" - 6'6" CRIMINAL JUSTICE / 6'7" - 6'9" MANAGEMENT / 4'10" - 5' MANAGEMENT / 5'1" - 5'3" MANAGEMENT / 5'4" - 5'6" MANAGEMENT / 5'7" - 5'9" MANAGEMENT / 5'10" - 6' MANAGEMENT / 6'1" - 6'3" MANAGEMENT / 6'4" - 6'6" MANAGEMENT / 6'7" - 6'9" INFO. SYSTEMS / 4'10" - 5' INFO. SYSTEMS / 5'1" - 5'3" INFO. SYSTEMS / 5'4" - 5'6" INFO. SYSTEMS / 5'7" - 5'9" INFO. SYSTEMS / 5'10" - 6' INFO. SYSTEMS / 6'1" - 6'3" INFO. SYSTEMS / 6'4" - 6'6" INFO. SYSTEMS / 6'7" - 6'9"
Please select option for Master's Package. Please choose discipline from drop-down menu. 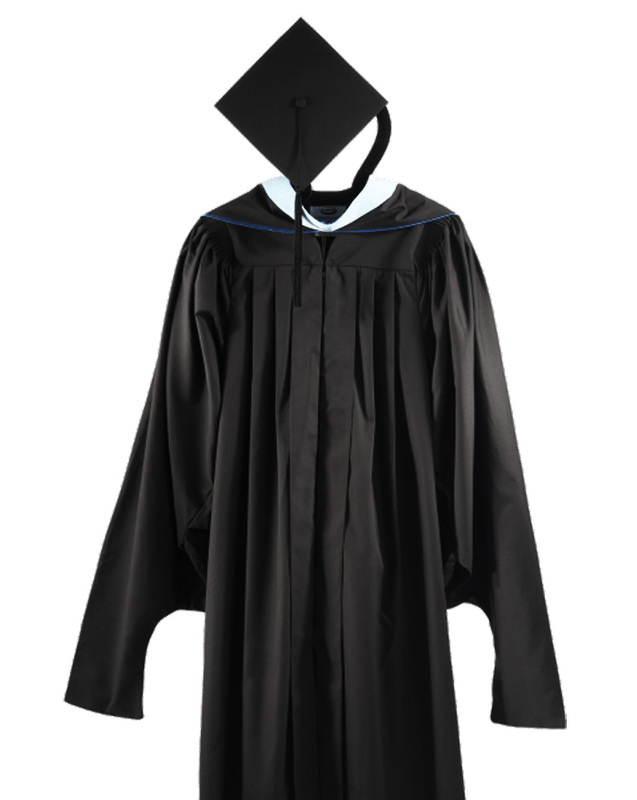 Cap, Tassle and Gown sold separately or as part of the Master's Package. Please select option for Master's Hood. 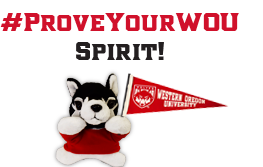 Cap, tassel and hood are sold separately or as part of the Master's Package. 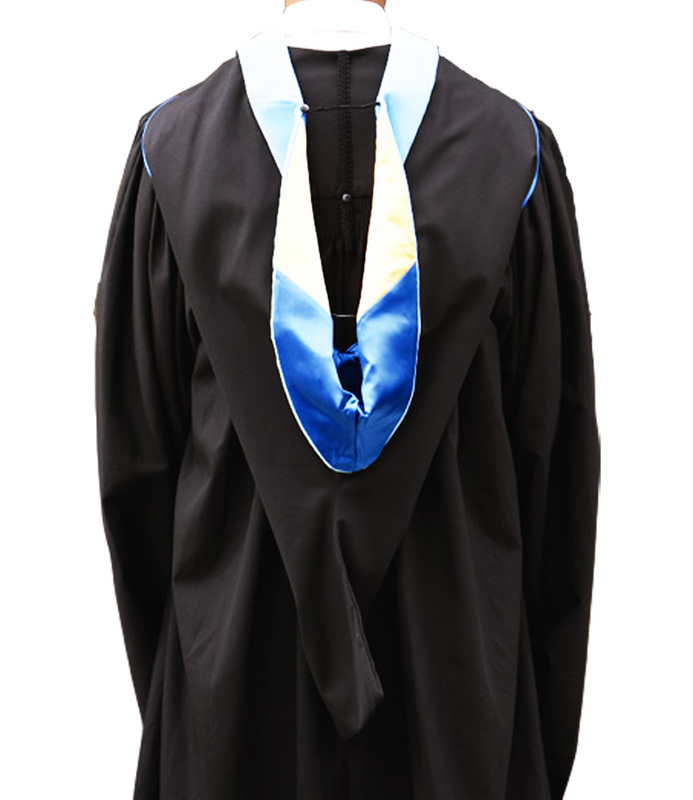 Please select option for Master's Gown. 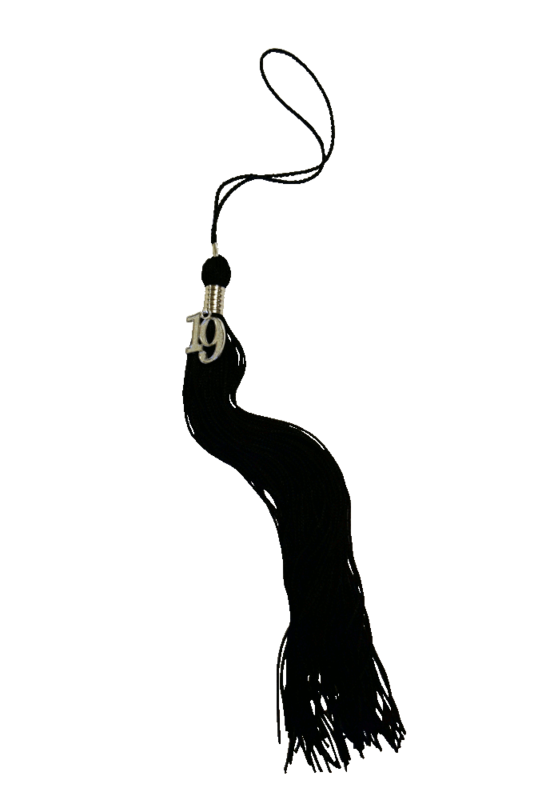 Black tassel with silver hanging "19." All Master's graduates wear a black cap and black tassel. Drop-down, red and white souvenir tassel with the '19 graduation year on a silver charm. 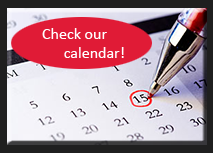 (Note: image is incorrect--your tassel will display the correct year!) 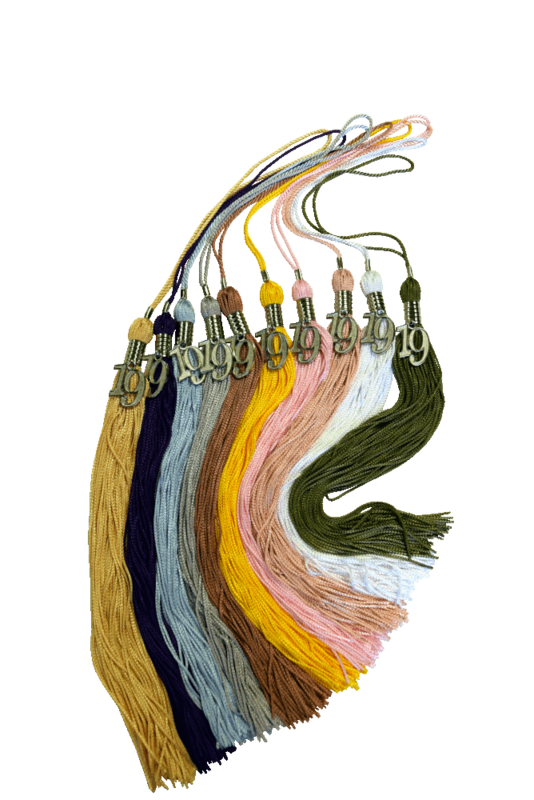 For official commencement ceremony tassel, choose Bachelor's tassel or Master's tassel from the Graduation Regalia page.